We knew it was coming. 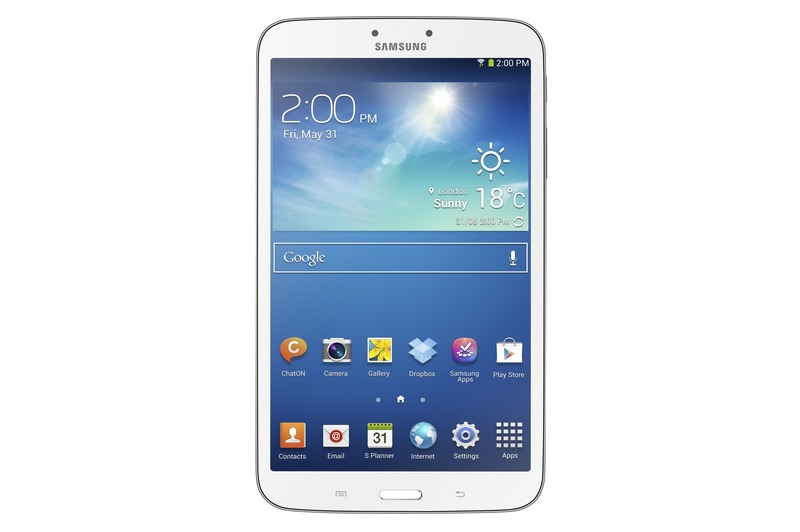 After the rather disappointing reveal of the 7-inch Galaxy Tab 3, Samsung unveiled two new models today. The 8-inch Tab 3 bears a striking resemblance to the Galaxy Note 8, while the 10.1-inch version extends the design language first introduced in the Galaxy S III smartphone to the 10.1-inch form factor... buttons and all. Both models are mild refreshes of older Tab variants (though the 8-inch Galaxy Tab 3 could bee seen as a mix of the 8.9 and 7.7). They'll be available internationally in early June, but Samsung unaccountably forgot to include the prices. The 8-inch Galaxy Tab 3 takes most of the specifications and design of the Galaxy Note 8.0, subtracts the Wacom digitizer and S-Pen stylus, and calls it a day. A diminished 1.5Ghz dual-core processor and slightly lower 1.5GB of RAM should still run Android smoothly, and there's the usual choice of 16 or 32GB of storage plus whatever you can shove in the MicroSD card slot. The 5 megapixel rear camera has no LED flash, and it's moved up to the corner, while the front-facing 1.3MP camera stays the same. The screen is an identical 1280x800 LCD, though Samsung has shrunken the bezel a bit, making the Galaxy Tab 3 a little more than 10mm skinnier than the Note 8.0. The battery is 4,450mAh, and the tablet comes with an infrared port. The processor is a bit faster at 1.6Ghz dual-core, and the rear camera is a bit worse at 3MP. Strangely, RAM is reduced compared to the 8-inch tablet, down to 1GB. Storage remains the same, as does the IR port. The screen is the same 1280x800 10.1-inch LCD that Samsung's been using ever since the original 10.1, and when compared to some of the other 10-inch tablets on the market, it's really showing its age. 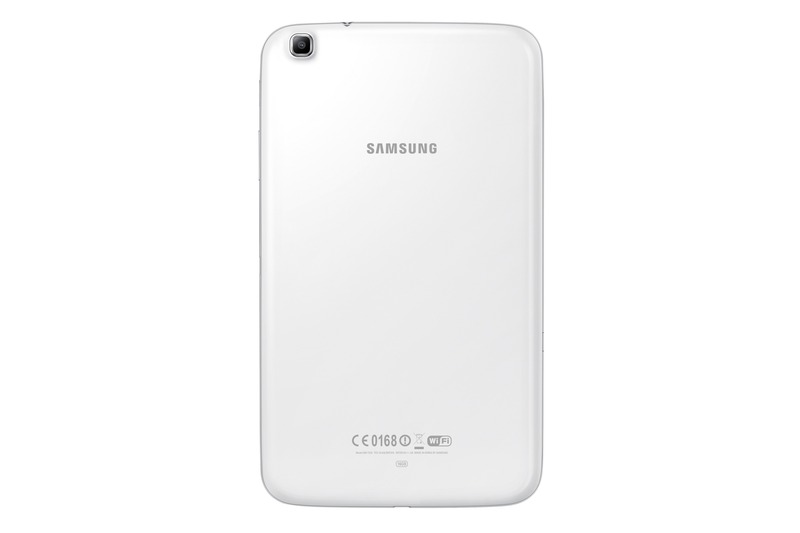 The battery in the 10.1-inch Galaxy Tab 3 is 6,800mAh. 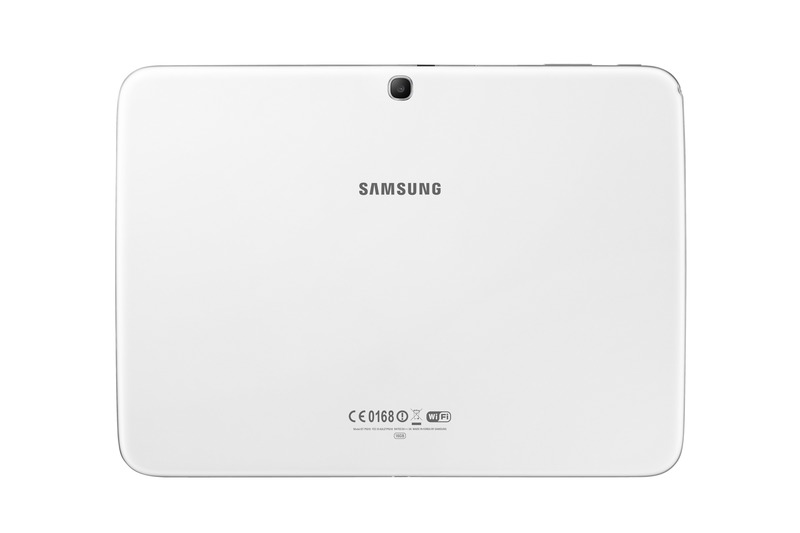 Both tablets will run Android 4.2 at launch, with Samsung's obligatory pack-in interface and apps. Three versions of each tablet will be available, Wi-Fi, 3G, and LTE, though regional differences will likely apply. Prices for either model in their various storage and wireless options were not revealed, but we shouldn't have long to wait. Considering the disappointing specifications, it seems that Samsung is fully committed to pushing the Note line into the premium tablet space, while keeping the older Tab family in the low-end area of the market. Hey, at least they got rid of those proprietary connectors. 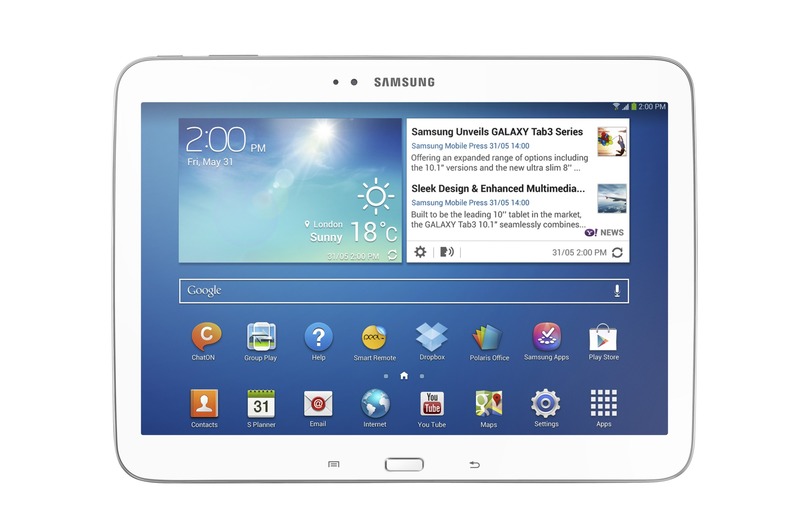 Update: Reuters has confirmed that the Galaxy Tab 3 10.1-inch is using an Intel CPU, according to a Samsung representative. There's no definitive word on which precise model is being used, but we'd guess it's one of the current-generation Ivy Bridge mobile CPUs. We'll update this story if more information can be verified.